A few days ago I as mecasting a performance of Beethoven’s Ninth Symphony and was monitoring the audio using my reconditioned H. H. Scott LK-48 amplifier tapped into my audio chain. All was well until about half way into the first movement I noticed a bit of distortion in the right channel. Let’s leave this topic be with what has been said. It is neat to have a transmitter remote from the studio as you have proposed. I have done this and understand. But, I am not sure of the design you propose in terms of what you are wanting to achieve. Why not just mount the transmitter at ground level with the attached antenna base also at ground level? Rich, is the change in slope on the graph at D = 30 meters due to the transition out of the near field into the far field? The suggestion posted earlier in this thread that Tim could produce and publish/sell a calibration chart for a particular brand of radio with a built in signal strength meter correlating the reading with field strength sounds good at first read but it is not workable. I think some of us need to calm down. It remains business as usual around here. I am trying really hard to understand why someone new to Part15 and seeking advice would care about this. They search a bit and find this site and this is what they see. I am old to the activity and I don’t care about this. It adds nothing of value to my interest in Part 15 radio. I have been thinking a bit about your observed increase in range gained by elevating the end of your antenna above the roof line. One thing came to mind, namely, near field effects, which could be one of the mysterious other factors alluded to. I am interested to know re: “…and Part 15 broadcasting is certainly a boundary condition for radio signals” what you mean by boundary condition? I just spent 20 minutes on a reply in this thread and even used CTRL-A routine and the text was lost. I might or might not try again to post it. Right now I am not in the mood. Carl, I agree with “An amplifier can be truly linear with poor transient response, but the quality of signal would be impaired.” What I had in mind when I wrote “Linearity and transient response are not related.” was that achieving one in a design does not guarantee the other which agrees with what you wrote. It is very easy to tune this typo of radio to receive above 1600 kHz. Done it many times. 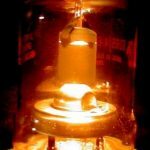 Recapping tube radios is more involved because the leakage through coupling caps can destroy tubes so these, as well as electrolytics, generally need to be replaced. The leakage currents are much higher in tube units because of the high voltages involved which are not found in transistor units. Now that’s some serious car radio collecting. You are doing it right. It was mounted so that the front of the radio where the speaker mounts fires frontward out of the radio toward the front seat from just under the dashboard. It has no speaker and I don’t recall but it was probably trash and I removed it and used the external speaker.